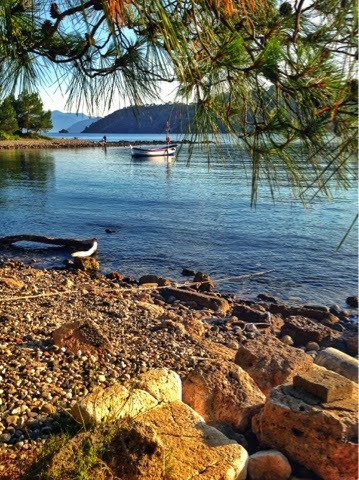 "Then follows Phaselis, a considerable city with three harbors and a lake. Above it is the mountain of Solyma and Temessus, a Pisidic city, situated on the defiles, through which there is a pass in the mountain to Milyas. Alexander demolished it, with the intention of opening the defiles. 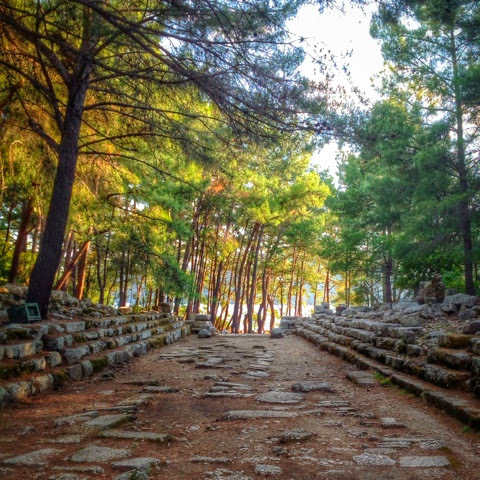 About Phaselis, near the sea, are narrow passes through which Alexander conducted his army..."
The Main Street linking the two ports is thought to have been used as a Stadium to hold races. 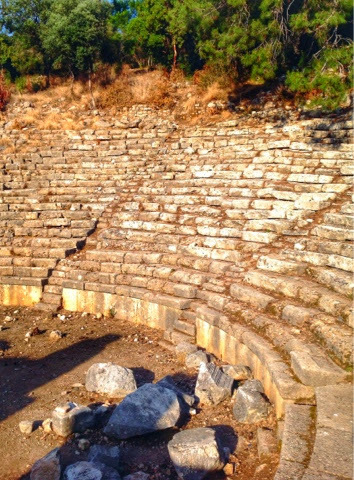 Since Phaselis was the main stopover for ships on the naval trading route between the Aegean and the Mediterranean, it was a thriving city. They were mainly concerned with trade, so they did not feel the need for an army and chose to accede to the whoever was dominating the region - Dorians, Persians, Alexander the Great or the Macedonian-Hellenes. Alexander the Great was greeted so warmly and awarded a golden crown when he was leading his army towards Antalya, that he decide to stay here for the winter of 333 BC. 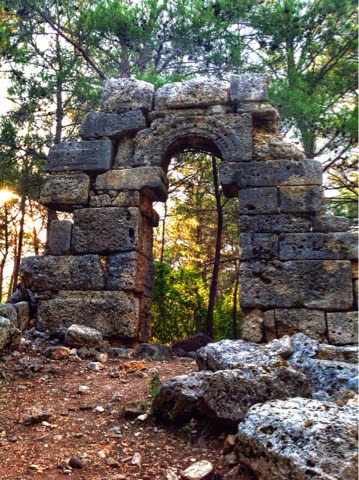 The city became a part of the Lycian League after 167 BC and struck its own coins. 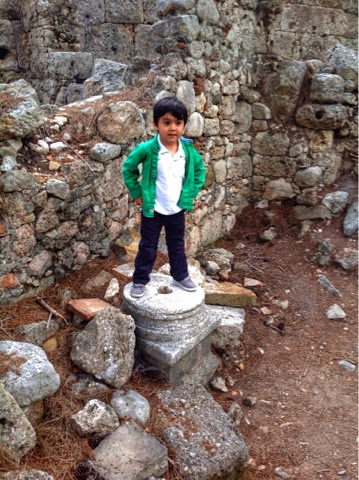 It came under Roman rule in 43 BC, after being invaded by pirates from the neighboring city of Olympos. 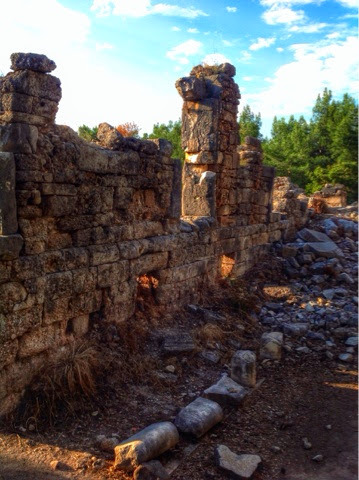 Most of the ruins to be seen are from Roman and Byzantine periods. Emperor Hadrian visited the city in 129A.D, the ruins of the Monumental gate built in his honor for this occasion can be seen by the South harbor. 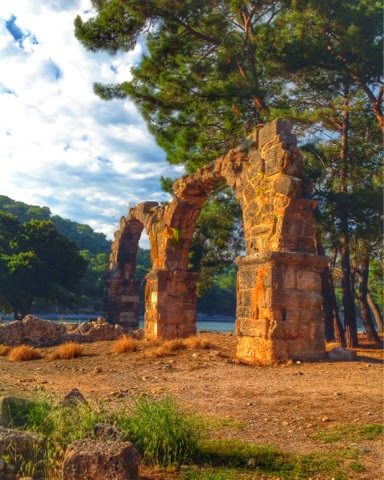 During its Byzantine history, Phaselis was one of the cities that participated in the Council of Chalcedon in 451. 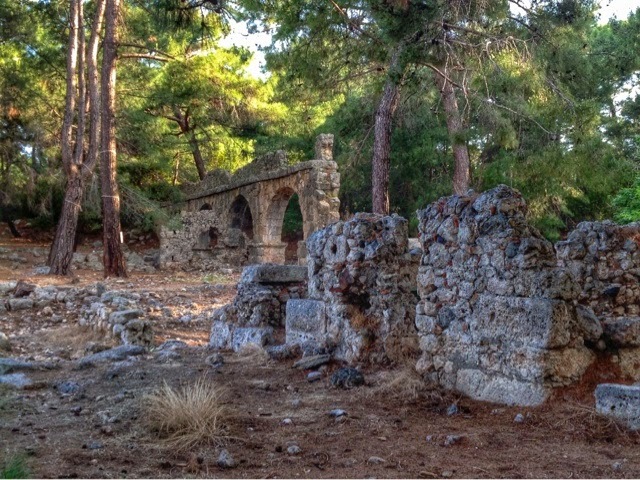 An hour drive away from Antalya, Phaselis is a magical place where nature and antiquities exist in perfect harmony. People come by boat and go swimming as well as exploring the ruins. We drove South on the main road from Antalya towards Kumluca - the site is 1 km away from the brown sign on the main road. We arrived due to circumstances, not by design, later in the afternoon and stayed until closing time at 7.30pm. It turned out to be quite wonderful, since towards the end we had the place all to ourselves.